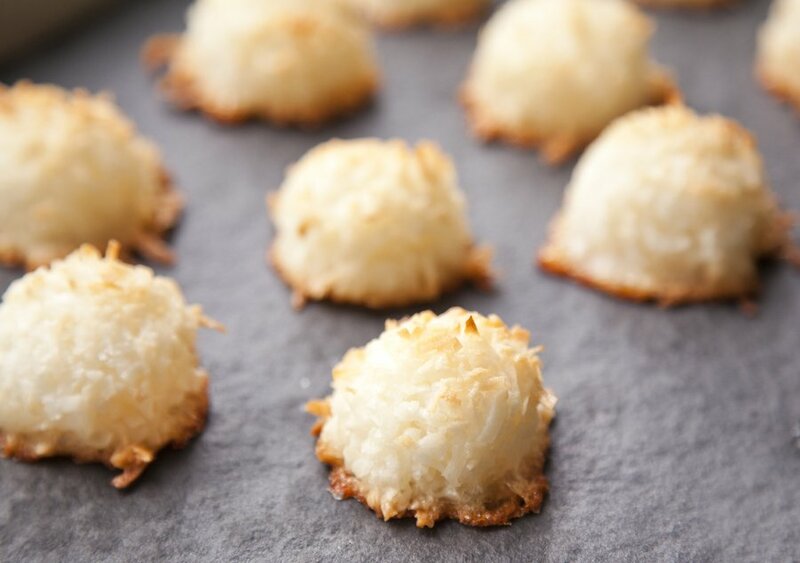 I absolutely love Coconut Macaroons (not to be confused with Macarons which are the Classic French Pastry Cookie). 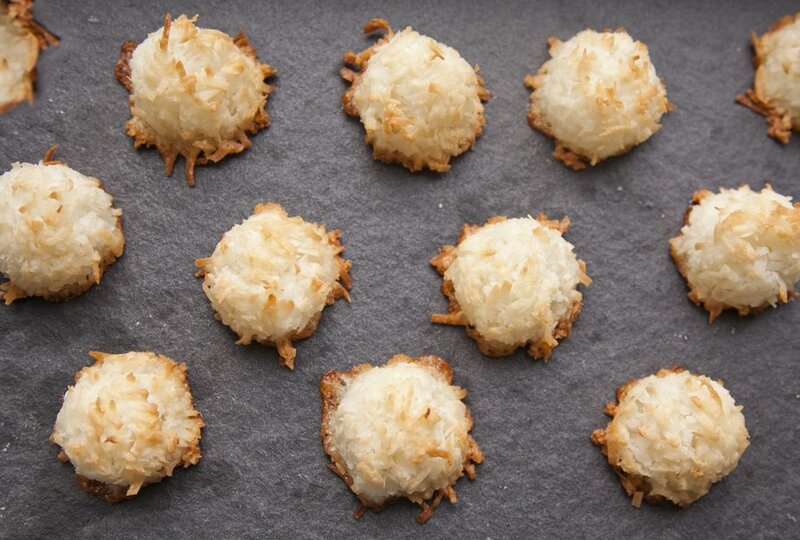 Macaroon v Macaron may only be different by 1 letter, but are SO much different in terms of what they are and the difficulty level. 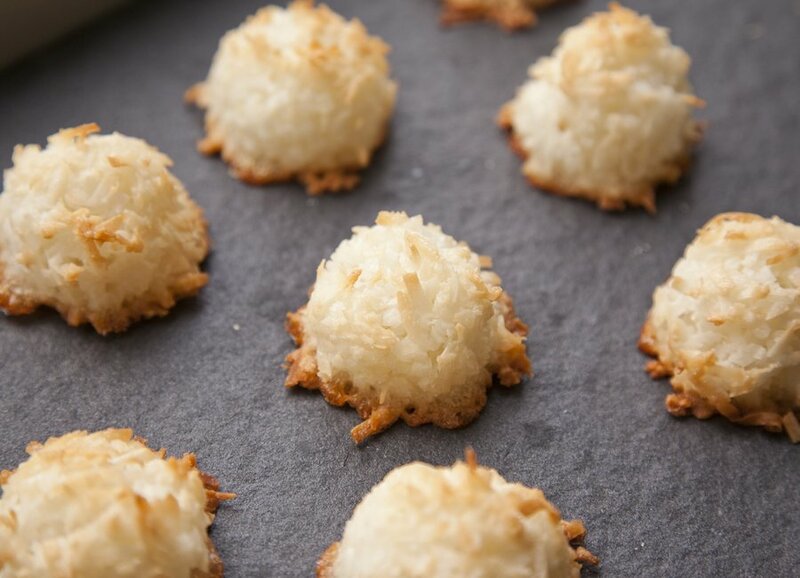 My MacaroOn is beyond easy - with literally 5 ingredients, these cookies are not only simple, but delicious! 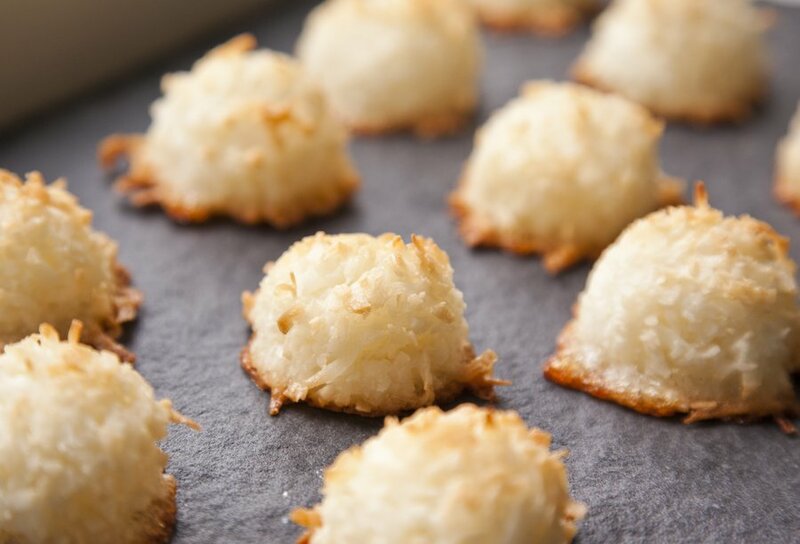 Classic Coconut Macaroons - so easy to make! Preheat your oven to 325 degrees. 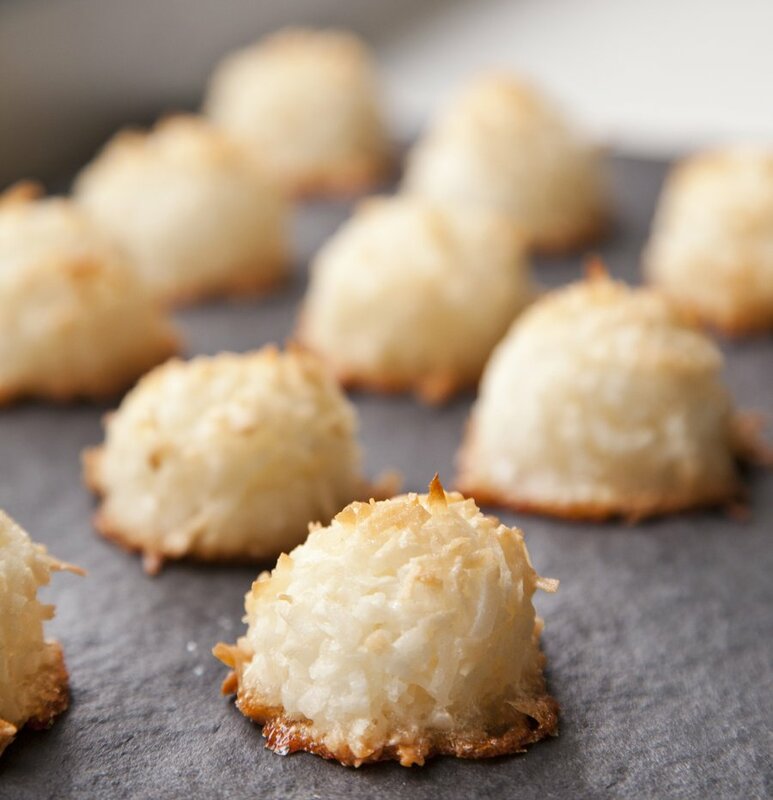 In a large bowl, combine your egg whites, sugar, salt and vanilla. Mix together with a spatula until combined. 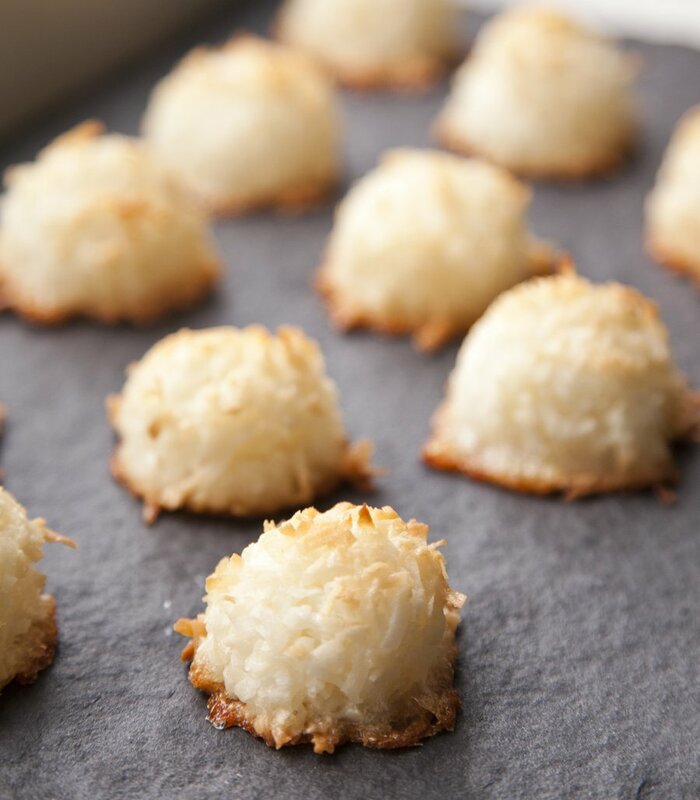 Fold in your shredded coconut. On a silpat lined baking sheet, use an ice cream scoop to scoop even mounds of cookie on to the sheet. You should get about 20-25 cookies. 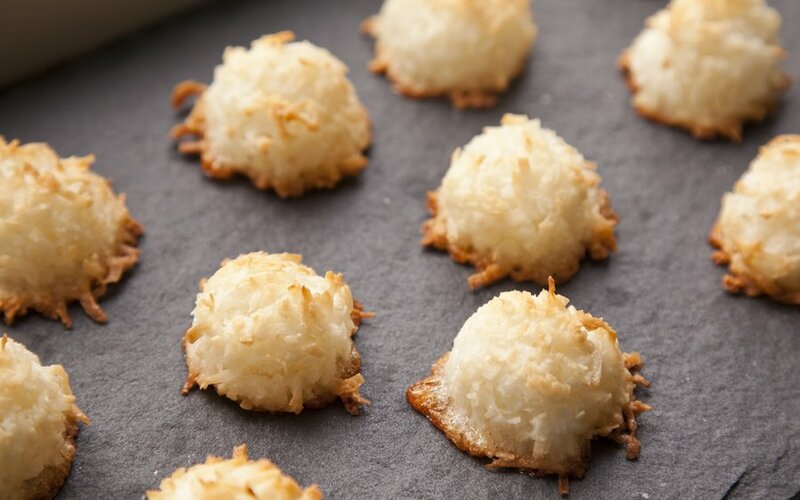 Bake in the oven for about 25-30 minutes (you want the tops to start lightly turning brown). Remove from oven and let cool 10 minutes on the baking sheet. Remove and place on a wire rack to finish cooling down. *Note: you can also melt chocolate and drizzle this on top for some extra pizazz!